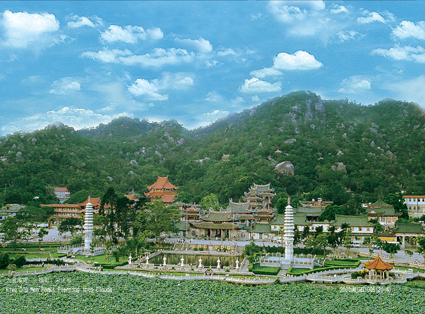 Xiamen University, nestled between the sea and Wulao Peak (五老峰), is one of the comprehensive universities under the direct leadership of the Ministry of Education. 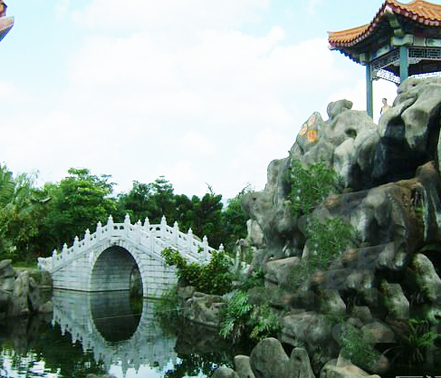 It was founded in 1921 by Tan Kah Kee, a well-known patriotic overseas Chinese leader. It is regarded as the one of the most beautiful universities in China, and the most attractive are the unique buildings that combine Chinese and European architectural styles. 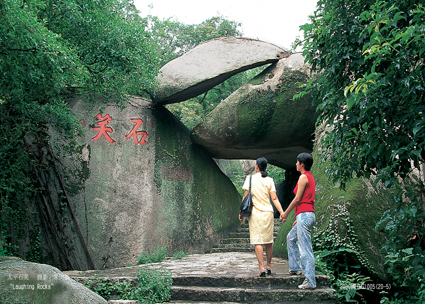 Its picturesque campus is undoubtedly the most comfortable land in Xiamen - one of the most livable cities in China. Of all the academic buildings, Shangxian Square (上弦场) and Jiannan Hall (建南大礼堂) are the best known ones. 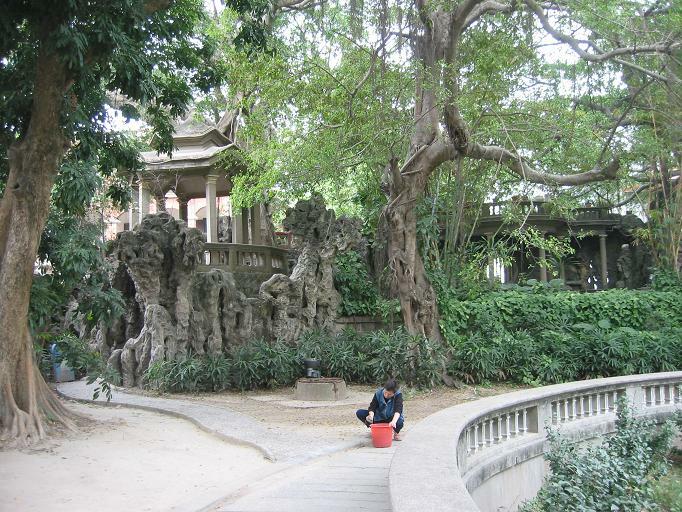 The following are some typical attractions of Xiamen University. The university has two gates, the South Gate and the West Gate. The South Gate is regarded as the main campus gate, for it is located beside South Putuo Temple or Nanputuo Temple (南普陀寺). Strangely, the South Gate doesn't get its name for its location in the south, but because of adjacency to South Putuo Temple. While the West Gate, lying in the west of the Qunxian building complex, was paid for by Mr. Zhang Zilu (张子露), the chancellor of Xiamen University. The gate is 7.4 metres tall and 25 metres long, covering an area of 120 square metres. It was constructed from granite, with cambered surface at both upper sides. The main body, decorated with embossment, is symmetrical and modern. The Kah Kee building complex, which was designed by teachers and students of the Architecture and Civil Engineering Department, is composed of 5 adjacent buildings beside Lotus Lake. The building complex is the landmark scenery of the university. Of the building complex, Kaisi Building stands out for its symmetry. The complex, consisted of 5 buildings in a line, is famous for its centralized architecture. The most extinctive characteristics of the buildings are the perfect paring of Chinese and Western architectures and overhanging stairs. 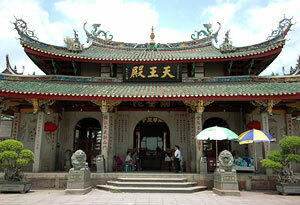 In 1989, it was included as a protected building in Xiamen. 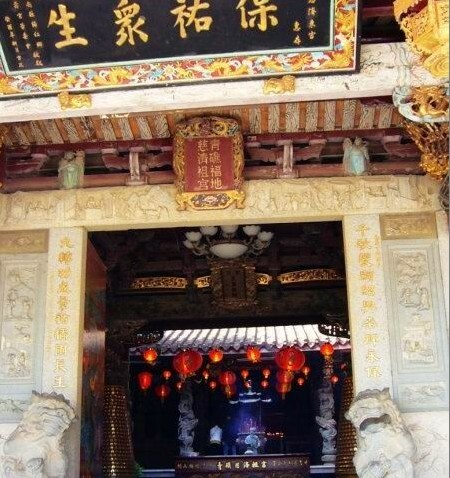 It was built in the 1950s by Mr. Li Guangqian, the son-in-law of Tan Kah Kee. The complex has five buildings, including Jiannan Hall, Chengyi Building, Chengzhi Building, Nan'an Building and Nanguang Building. The hall is a part of the Jimei Building in Xiamen University. In the period from 4th September, 1926 to 16th January, 1927, Lu Xun, a short story writer, critic and essayist in China, lived in the hall. 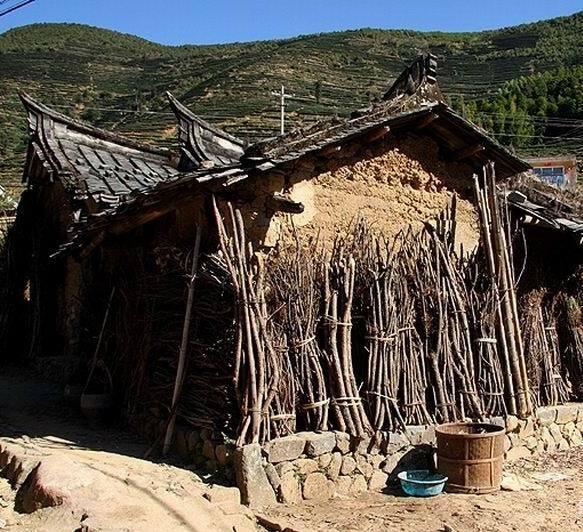 The hall has 5 rooms, which displays Lu Xun's life with cultural relics, works and photos. 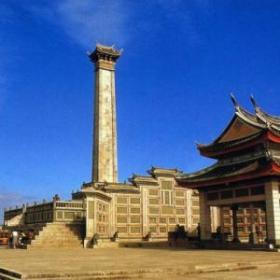 The square, located at the entry of the west gate, was contributed by the overseas Chinese Mr. Zhong Baoyu and his brothers and sisters in honor of their mother, Mrs. Zhong Linmei. 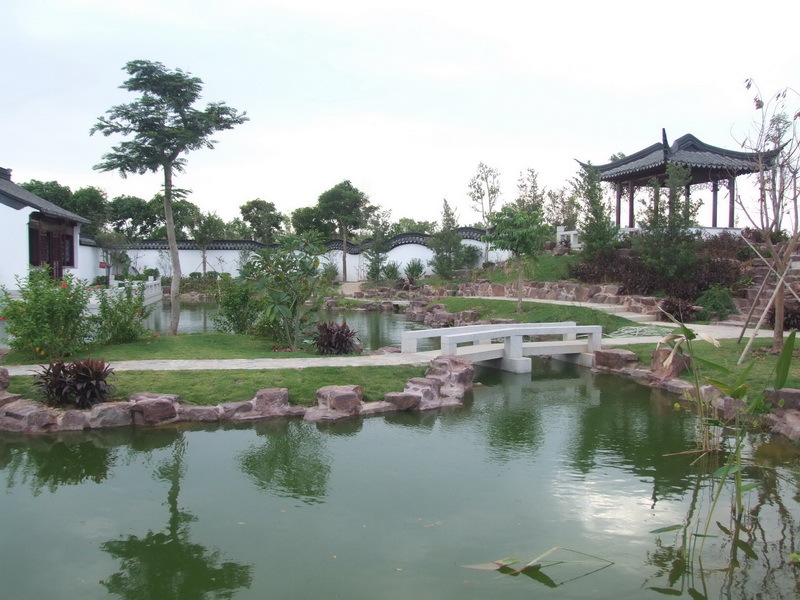 In the centre of the campus, there is a lake called Lotus Lake with weeping willows standing on the band. It is a nice place for lovers. 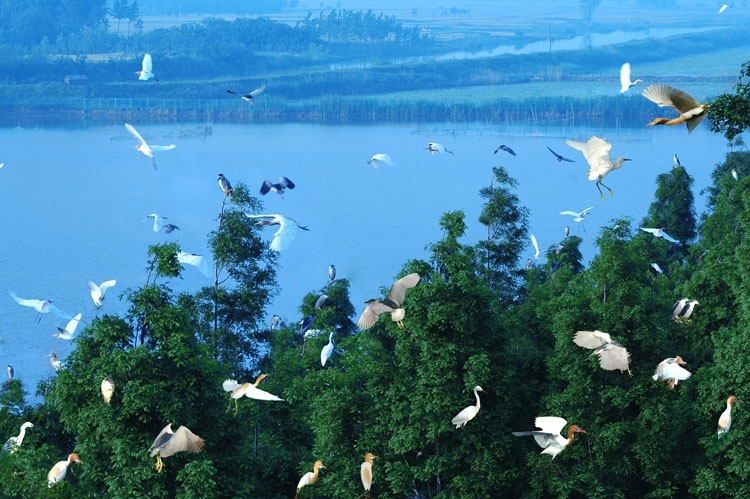 The reservoir, located on the hill, is surrounded by thick forest. 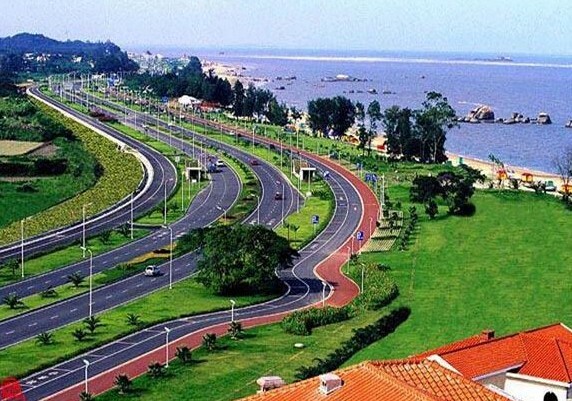 Standing on the top of the hill, tourists can get a panoramic view of the sea and Huandao Road afar. Shangxian Square is a sports ground. It used to be drill ground for the navies during the Sino-Japanese War of 1894-1895. At the back door lies a long and half-moon shaped beach which stretches hundreds of metres. 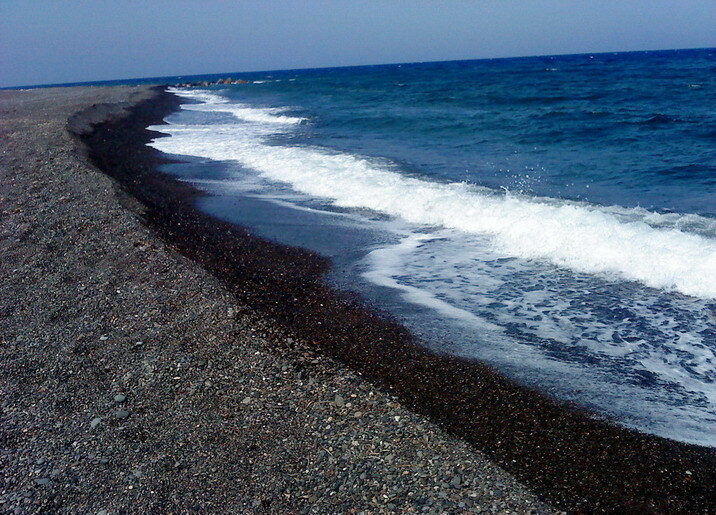 The sandy beach and azure sea do not provide a prime place for lovers, but also attract numerous visitors.